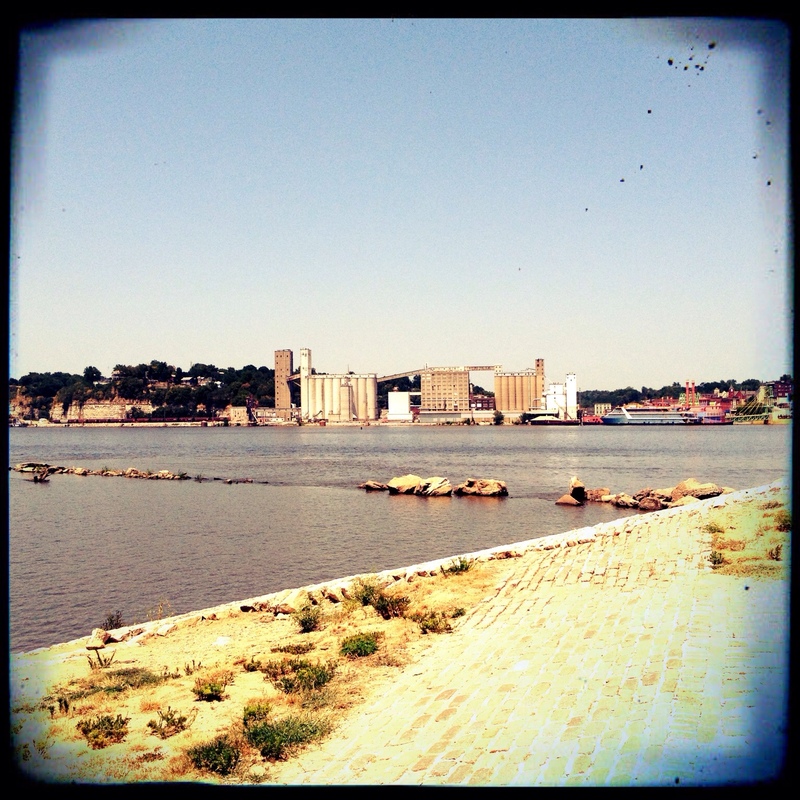 This is a view of the city of Alton, Illinois from “Smallpox Island”. No longer an actual island, it’s now a recreation area on the Missouri side of the Mississippi River. It’s located about nine miles north of the city of St. Louis. Before the Civil War, it was called “Sunflower Island”. The name changed when a hospital was built there to quarantine prisoners from the Alton Confederate Prison Camp who had become afflicted with communicable disease. But in 1842, a very interesting event happened on this island. At the time, a man by the name of James Shields was the Illinois State Auditor. He was also a political rival of a young lawyer named Abraham Lincoln. While living in Springfield, Illinois, Lincoln crossed Shields by writing a letter to a Springfield newspaper called the Sagamon Journal. In the letter, Lincoln criticized and poked fun at Shields. This wasn’t an uncommon practice in politics back then. But Mary Todd, Lincoln’s future wife, complicated matters. Unbeknownst to Lincoln, Todd continued writing letters and articles to the paper under a phony name. Her letters openly ridiculed Shields. As a result, his reputation really began to suffer in political circles. Thinking Abraham Lincoln was behind everything, Shields publicly accused him of having his future wife Mary Todd write the letters. Demanding “satisfaction”, he then challenged Lincoln to a duel. Thinking Lincoln would back down and apologize when confronted with such a decision, Lincoln surprisingly accepted. Since dueling was illegal in Illinois at the time, the two men agreed to cross the river and duel on Missouri’s Sunflower Island on September 22, 1842. James Shields was 5 feet 9 inches tall, which is tall man for 1842. But Lincoln towered over him at 6 feet 4 inches tall. Since the person challenged has the choice of weapon in a duel, Lincoln smartly exploited his wingspan advantage. Instead of choosing the standard pistol, he chose heavy cavalry sabers. These large swords were commonly referred to at the time as “wrist-breakers”. To emphasize his advantage, Lincoln demonstrated his skill on the day of the duel by hacking down a few tree branches down above Shields’ head. Seeing this demonstration, Shields quickly realized he was outmatched. Not only would he likely lose the duel, he’d look ridiculous while doing so. Fortunately, memories of Aaron Burr and Alexander Hamilton’s ill-fated duel in 1804 still lingered. The seconds for Lincoln and Shields stepped in and convinced the men to avoid bloodshed. After tempers cooled, Lincoln took responsibility for the letters and issued an apology. Instead of slicing up a political opponent, Lincoln would obviously go on to become the greatest President this country has ever known. But Shields’ career didn’t turn out too shabby, either. He fought in the Mexican War, the Civil War, and is the only American to have served as a United States Senator for three different states (Illinois, Minnesota, and Missouri). The drink section of this post was a bit difficult. Since I travelled to Alton to research this post on the 4th of July holiday, I couldn’t find a cocktail bar that was open. But since it’s Alton, my St. Louis pals know there’s one place that won’t turn you away. And since it was 103 degrees outside, it wasn’t exactly martini drinking weather. That’s cheap lager drinking weather. With that, it’s a no-brainer to get a cold one at Fast Eddie’s Bon Air. Fast Eddie’s has a good story of its own. It was originally owned by Anheuser-Busch. In 1921, the brewery decided to open a drinking establishment in the river town of Alton, Illinois (some St. Louisans may know this is how Bevo Mill in south St. Louis also got its start). It was originally named the “Bon-Air”. However, after owning the bar for ten years, a new statute prohibited brewing companies from owning drinking establishments. It was sold to two men who then operated the bar until 1981. That’s when a man named Eddie Sholar bought it and changed the name to “Fast Eddie’s Bon Air”. Today, Fast Eddie’s claims to be one of the largest bars in the midwest. On busy nights, it’s packed with hundreds of people. According to their website, some people claim is the #1 volume bar in the world. That seems like a stretch to me, but the place is very big, and it’s very popular. It’s also known for its cheap food. All menu items are the exact same price as the day food started being served, nineteen years ago. Since Fast Eddie’s was originally an A-B bar, drinking cold Budweiser, Bud Light, Busch, and the other AB products is the way to go. I don’t even know if you can get a cocktail at Fast Eddie’s. Honestly, I’ve been there a dozen times and the thought of ordering one there has never crossed my mind. After walking around Alton, Illinois in 103 degree heat researching this and a few other future history posts, I had no problem drinking cold cheap beer. I don’t really need to go into detail about drinking Anheuser-Busch. We all know how it works. I had a couple of Bud heavies and headed back to St. Louis. I can be a beer snob with the best of them, but not on this day. Ha. I didn’t even think of the movie. Good connection! What do you read to learn all of this history? Can you suggest any books? 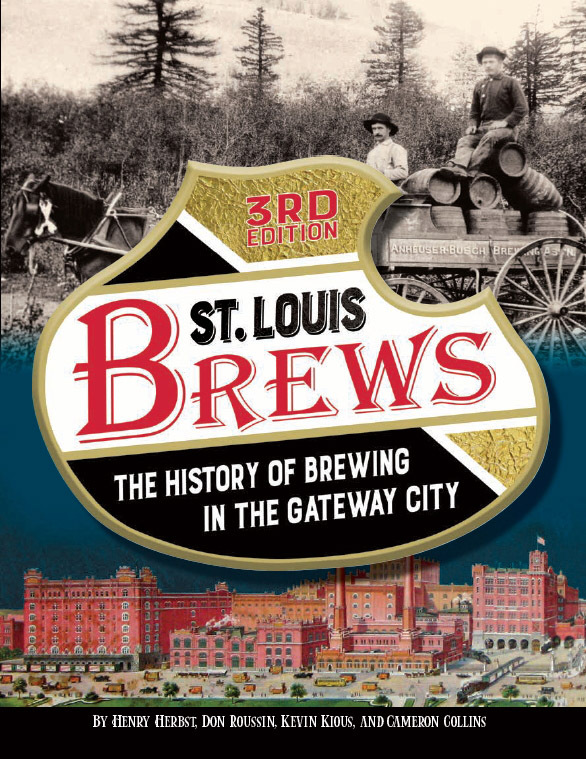 There are a couple books that initially piqued my interest in some of the hidden aspects of St. Louis history. “Hoosiers and Scrubby Dutch” by Jim Merkel is one. Another is “Here’s Where: A Guide to Illustrious St. Louis” by Charlie Brennan. Some of the early post ideas came from those two books. Now, I tend to drive around, look at sites, talk to local historians, and research from there. I just read “Founding St. Louis: First City of the New West” by Frederick Fausz and I thought it was great. Thanks for reading the blog! Thanks for the suggestions. I’m loving all of your posts so far. Very interesting. Look forward to more! I was part owner of Enos Apartments from 1996 through 2000. I have pictures of the original Hansen house, with the adjoining house long before the fourth floor was added. It is true that Dr. Enos had the floor added, but not true that the adjoining house was added as a nurses house at that time.